AB 1199 passes unanimously through Assembly floor! 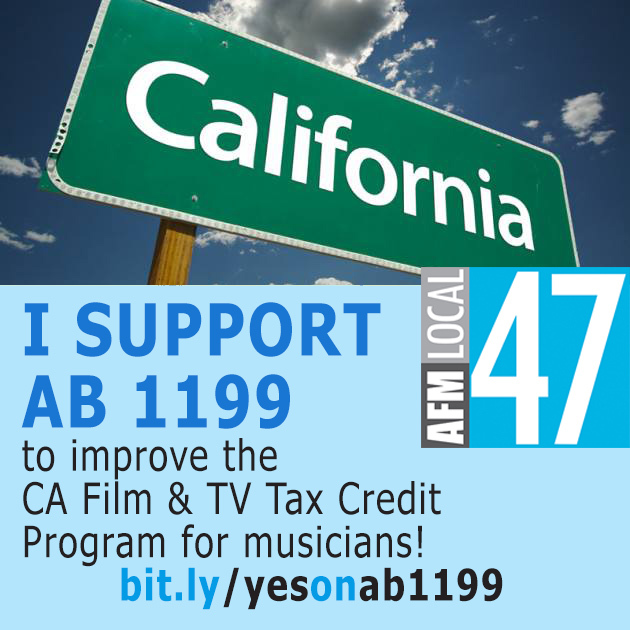 Great news, AB 1199 supporters! This week the bill soared unanimously through the California State Assembly, landing bi-partisan approval to move on to the Senate. While this is an exciting success, our real work is now ahead of us. We need to ensure further amendments are made to the language to achieve a carve-out for scoring work for motion pictures and television in the state. Sign up for Local 47 Action Alerts to receive AB 1199 news & updates. This entry was posted in All News, Legislative News and tagged AB 1199 on June 5, 2015 by admin.